A good base layer is not just an extra piece of clothing you wear underneath your trousers when it gets a bit chilly. A good base layer regulates your temperature and is as useful on a hot summer's day as it is in the dark depths of winter. 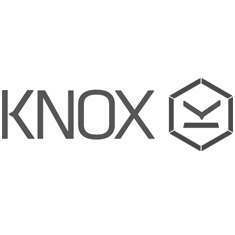 Knox understands this principle and has produced a collection of high performance base layers. The Jamie are their base layer trousers, part of the Dry Inside range made using Merino Perform Advantage technology. This is a smart blend of super soft Australian Merino wool and fast drying synthetic fibres. This results in a highly effective cooling and drying fabric that feels like absolute bliss to wear. The Jamie is cleverly designed to offer a tight fit that won't bunch up underneath other layers yet won't annoyingly cling to your skin either. The Merino wool used is some of the lightest available and wicks moisture from your skin keeping you dry, insulated and at an ideal body temperature. The Jamie has a unisex cut in black with a grey marl pocket on the hip. The soft elasticated waist offers a very comfortable fit and the Knox branding is pleasantly subtle.